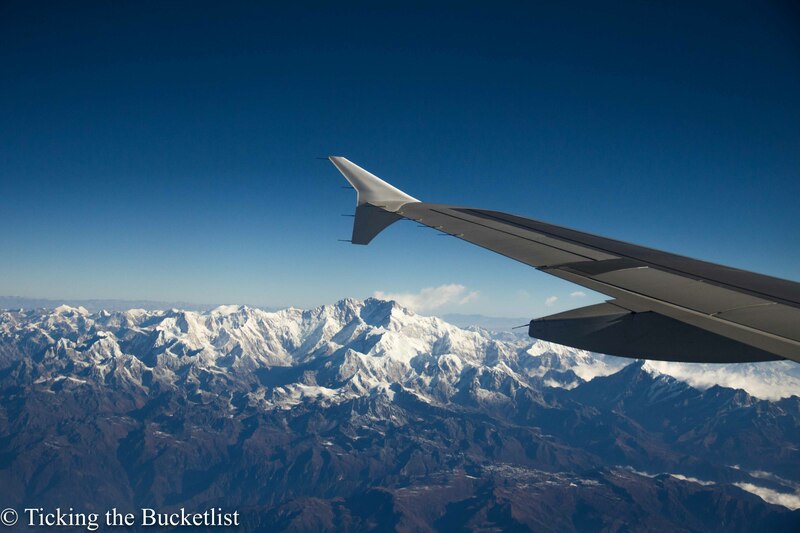 Flying over the Himalayas….fingers crossed for seeing the Everest! If you have decided to visit Bhutan, pack your bags. Here is the perfect five day itinerary to let you see the highlights of this beautiful nations. Land at Bhutan’s only international airport, which is in Paro and breathe in some fresh air… feel how clean it is? Head to the capital of the country Thimphu and spend the rest of the day catching up on your sleep and relaxing while sipping the traditional butter tea.The Bhutanese are excellent weavers and create magic on the loom. You can understand more about Bhutanese textile by visiting the Textile Museum in the afternoon, and then shop for the dress material of your choice. In the evening, stroll around Thimphu city and visit the local handicraft market, which is ideal for buying some local crafts. Rise and shine….today is the day that you first experience the vibrant Bhutanese culture in Thimphu. 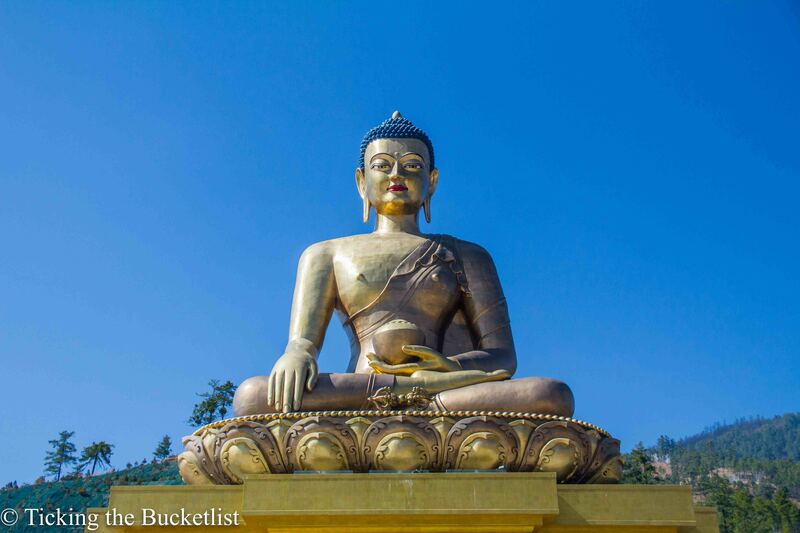 After breakfast visit Kuensel Phodrang (Buddha Statue), which is the world’s largest sitting Buddha statue while enjoying stunning views of the Thimphu valley. Next, visit the National Memorial Chorten, which remembers the father of modern Bhutan. The place is buzzing with activity in the mornings, with devotees offering the prayers, many of whom have travelled for days to get here. 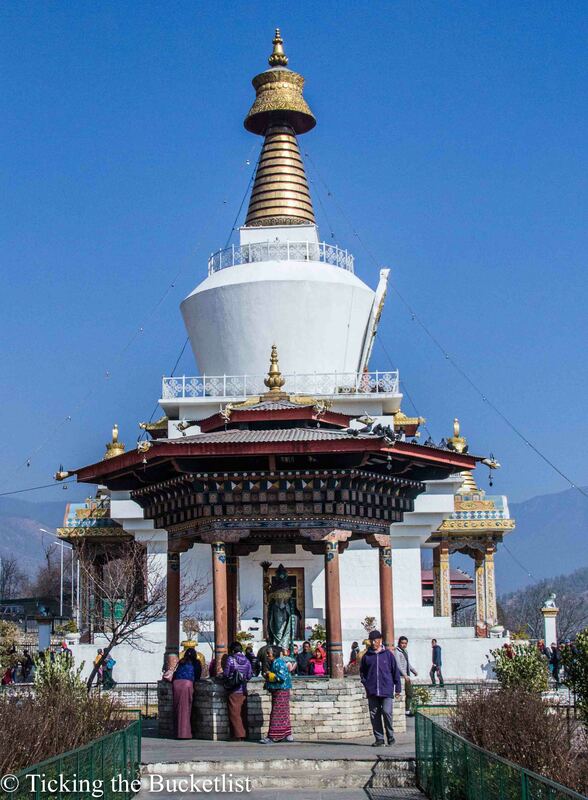 In the afternoon visit Changangkha Monastery the oldest temple in the valley, and learn more about the everyday lives of the monks and Bhuddhism. It is interesting to understand what monk’s study and how their religious life progresses. Some monks are shy, while some are happy to speak with you and tell you more. It is so much fun to watch the young ones run around while the older ones walk with such composure. Today, you can see some of the most beautiful sights that Bhutan offers. After breakfast drive to Punakha / Wangdue en route Dochu-La-Pass (3150m, 10334 ft). Admire the 108 stupas at Dochu-La and sip a cup of tea with stunning views. A few kilometers before Punakha, stop for a few minutes to visit the Chhimi Lhakhang – The Temple, also known as ‘The Temple of Fertility’ was built by Lama Drukpa Kuenley, who is also known as ‘The Divine Mad Man’. Learn more about this interesting spiritual leader who had unconventional ways. People from across the world flock here to be blessed with a baby…there is an album that tells tales of happy couples. In the afternoon visit Punakha Dzong – built in 1637 by Zhabdrung Ngawang Namgyal. The Dzong was named Druk Pungthang Dechen Phodrang, which means Palace of Great Happiness. This is possibly, the most stunning building in Bhutan. The colours and tranquility will take your breath away. In the evening, spend time at your hotel, relaxing and enjoying the beautiful views of the Punakha valley. While you may want to spend longer in Punakha (we wanted to spend at least a week there, simply staring at the fields and the mountains…and counting sheep in the sky! ), it is time to make your way back to Paro. 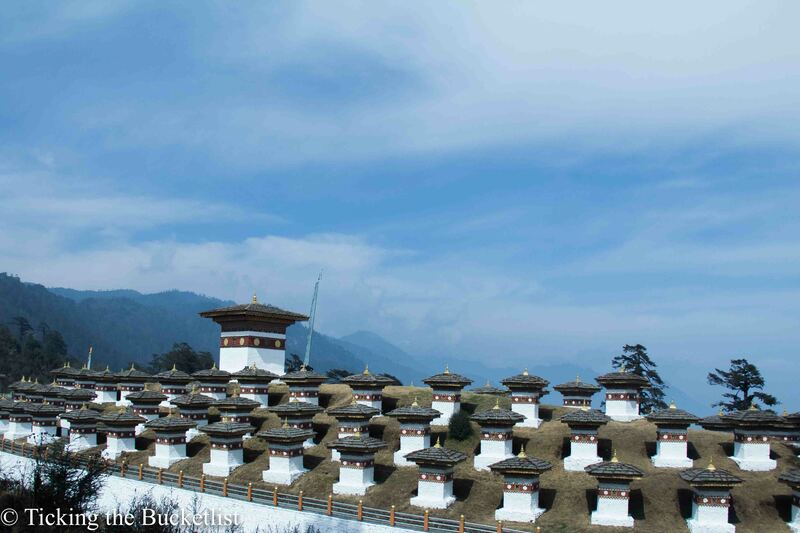 Leave Punakha after breakfast and enroute, stop at the Dochu-La pass once again. If you missed the mountain views because of cloudy weather last time, you might get lucky this time. The sights and scenes of the Paro valley will make you swoon. Visit the 17th century Paro Dzong on foot and continue walking through the oldest wooden bridge still in use. Visit the Kitchu monastery in the late afternoon to admire the bright blue traditional paintings. In the evening, stroll through Paro town and peep into some local handicraft stores. Visit a local restaurant and enjoy a big bowl of Bhutanese noodle soup call thukpa or some steaming hot momos. Get back to your hotel, pack your bags and sleep tight…you would be flying the next day. If you are in Paro, you cannot leave without seeing the Tiger’s Nest Monastery. Perched on top of a vertical hill, this religious abode will surely have you in a state of awe, wondering how did someone even manage to construct the structure? This monastery is an absolute must go if you are physically fit and can climb about 700 steps ((one way) to get here. It is pretty manageable even if your health is average. But for families with babies and the elderly, or those having breathing and knee problems, it would be best to admire the monastery from a distance. The visit to the Tiger’s Nest monastery is a full day affair…and after you are back, you will be so exhausted that you wouldn’t want to do anything at all! The vacation comes to an end. Rejuvenated and relaxed, and hopefully, happier, it is time to head home. Board your flight from Paro to ‘destination next’…its time to get back to the routine, until the next vacation. Wow this sounds like an amazing trip! The butter tea sounds really interesting ( reminded me of Harry Potter haha ) I have always wanted to visit the tigers nest monastery. It all just looks so incredible beautiful and rich with history..
Bhutan is often seen as a dot on a map, or the Tigers Nest. 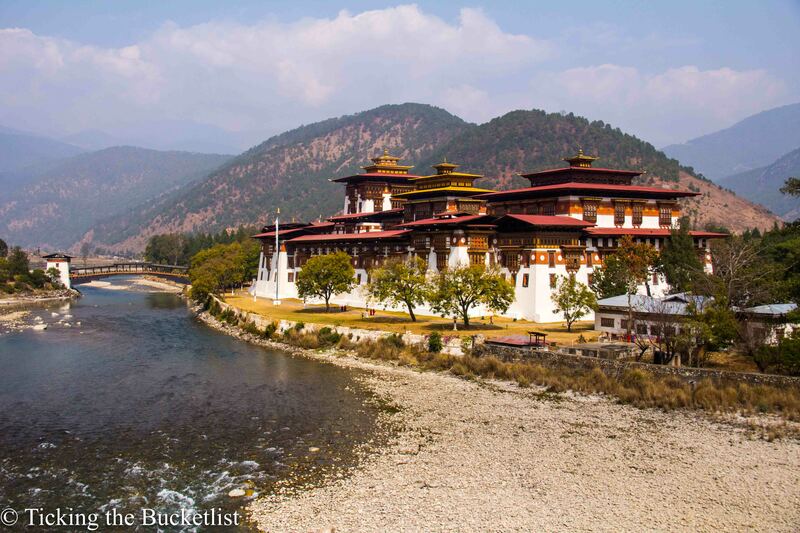 It’s good to see there is so much more to do here such as the Punakha Dzong temple. The photos you have taken are so colourful, I love them. I’ve seen many photos of Tiger’s Nest and it makes me want to go there so badly. Your photos are so beautiful. 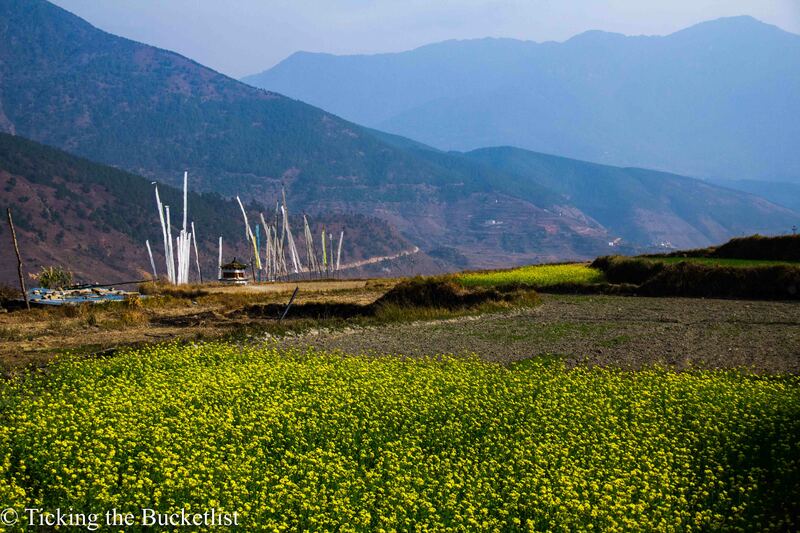 Love Punakha Dzong and those mustard fields. Traditional butter tea sounds really delicious. 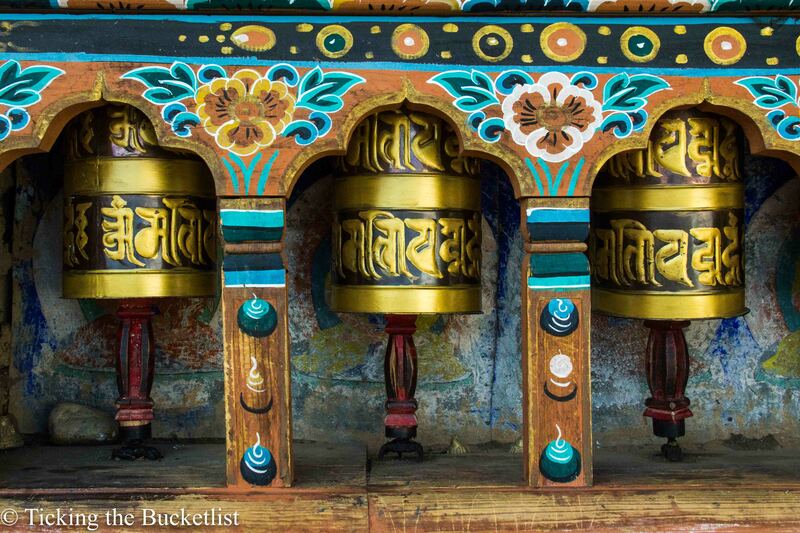 Are six days enough to soak up everything Bhutan has to offer? Wow, I didn’t know that it is called the Tiger’s Nest and it’s in Bhutan! Glad you have this blog, I’ve seen photos of this and I think that is one haven for a photographer. Thank you for giving me an idea. Now, I will put Bhutan in my bucket list. Love the details you’ve provided! I’ve thought about visiting Bhutan before but never really looked into it, and you’ve definitely motivated me to do a trip. Your photos are absolutely beautiful! This is so comprehensive! That Tiger’s Nest monastery looks incredible. How do you get there? Do you have to climb the mountain? Yep…its about a 2-2.5 hour walk which does leave one breathless at occasions. But the views are so worth it! Bhutan never even crossed my mind before, as it’s not somewhere I’ve heard a lot about – guess it’s quite underrated! It sure seems interesting and beautiful from your description and photos – and the Tiger’s Nest monastery sure looks like it’s worth a visit. Beautiful! What an amazing adventure! We would love to visit with the kids. I’m so glad to hear that Bhutan is wonderful year round. We often have to work around the school year so I’m thrilled to hear that even during our options we will have a great experience! Bhutan is really wonderful. You had an amazing journey with this great itinerary. We’ll have to check out Heavenly Bhutan for our visit. They sound like a fantastic company. And the Tiger’s Nest is a dream come true. The photos of it are so dreamy. We can’t wait to see it in person. How timely! I am planning a trip to Bhutan this year. I m really glad for having come across this itinerary. Which season did you visit? Hi Sindhu! We went in Feb and it was a great time to visit the country. In case you want me to help you book, ping me…happy to help! Awesome itinerary! 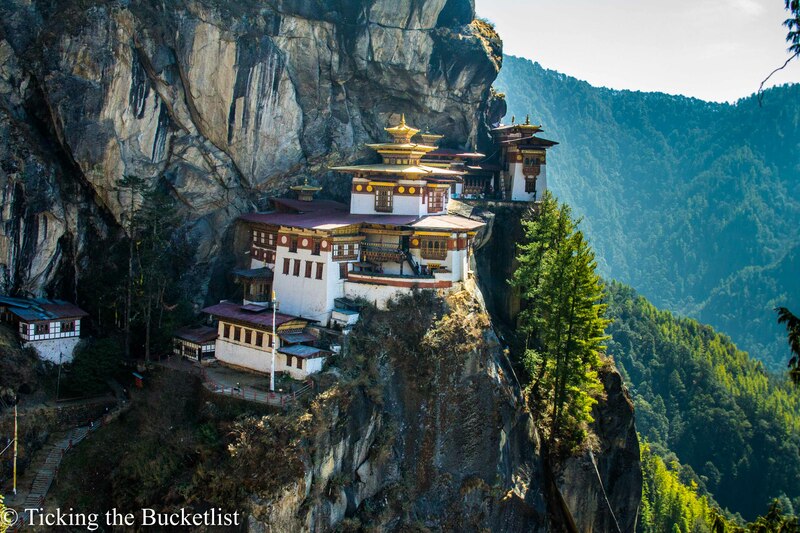 Bhutan is on my bucket list, Sonia!